Between April 21st and 23rd is celebrated in Madrid, Expofranquicia which is one of the most important franchises fairs nationwide. The fair is held every year in IFEMA. The growing number of exhibitors and visitors is another example of good growth through the franchising sector. Expofranquicia doesn’t stop growing and this year 500 companies from 20 different sectors will be present at this event. The fair is an ideal meeting point for entrepreneurs who are thinking about starting their own business to go and see firsthand some of the most profitable franchises at that particular time. In addition to the appointments between franchises and entrepreneurs, Expofranquicia is full of activities that may be of interest to those wishing to enter fully into the franchise sector. For three days various presentations of general interest such as “Introduction to the franchise. Tips for selecting one”, “How to franchise a business”, “I want to start a franchise, how to teach it right?”, “Keys to success for franchise development”, “Steps to franchise your business” and many more. A new feature this year is the celebration, the 22nd of April the Exchange Experience Day. A meeting organized by the European Franchise Federation that will meet the various franchise associations from several European countries. Should it not be otherwise, La Wash will be present at this important fair. This year all those entrepreneurs who want to learn more about our business model will find us in Hall 4 of IFEMA, section 4F05. La Wash is a company specialized in new generation self-service laundries. Characterized by an easy use of our washers and dryers, which implies that the presence of workers at the shop is not necessary, and a simple management and suitable even for those with no experience in the business world. At a franchise level we specialize in turnkey projects at a cost of zero royalty. Our franchise offers a simple business model in a sector that is in full expansion. 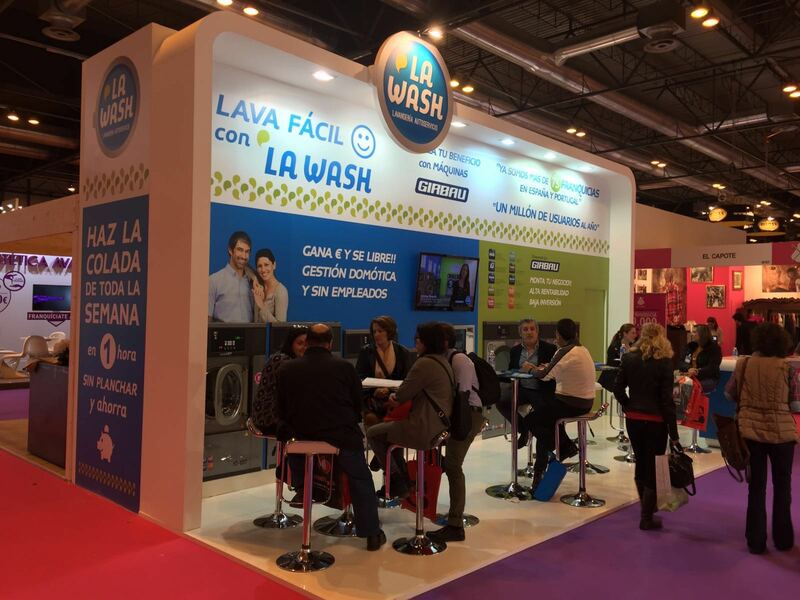 If you are interested in the world of self-service laundries and want to know more about the family of La Wash and the conditions to join our team, you can come to meet us at Expofranquicia, we will be at your disposal to give you all the information you may need.